Search Engine Optimisation (SEO) has often been seen as a bit of an internet dark art over the past few years. Whilst it’s true that some aspects of SEO can be rather technical, there’s plenty of simple little bits and bobs you can do yourself to help your rankings move in the right direction. When it comes to SEO we like to focus on aspects which improve the experience for the users first and then search engines second. By doing this you can be assured that, regardless of how it affects the keyword positions, you’re creating a better website for your visitors. We’ve found that Google is focusing more and more on these kind of aspects, and rightly so. Write a regular blog – Google likes regular fresh content. Put aside 30-60 minutes every 1-2 weeks and write a blog for your website. Whether it’s an update about what’s going on in the business, your thoughts on industry related news, or helpful hints and tips. They don’t have to be huge, aim for 400-600 words to keep it manageable. Also, don’t forget to share these posts with your social networks! Compress images before you upload them – Quick websites are not only favoured by Google, but are always nice for users. One of the easiest ways to make your site faster is to reduce the size of your images. If you’re writing regular blogs with images, or simply adding new images to your site, compress them first. There are a number of sites out there which can take your image, and significantly reduce the size them with no noticeable difference. I’m a big fan of both TinyPNG and Kraken.io. Also, make sure not to upload images with a massive resolution which are only going to be shrunk down when displayed on the website – shrink them properly first to the size you’ll be using them in. 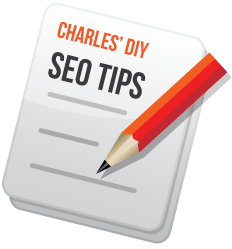 Fill out your meta title and meta descriptions – These determine how your site listing will appear in Google. However, it’s important not to be spammy with these; don’t fill them with keywords. Make your title clear and concise. Use your description to sum up the page you’re writing the description for, think of it as a short blurb about the page. Use keywords where appropriate, don’t force them in at a detriment to the user reading the title/description. The title should be at most 70 characters, whilst the description shouldn’t exceed 156 characters. Most content management systems will allow you to go in and alter the meta titles and descriptions for your pages, alternatively get in touch with whoever built your website to find out if this functionality is possible. Constantly evaluate your pages / content – Take a look at your website with a critical eye regularly. Put yourself in the shoes of someone visiting your site. What would they want to read? Are you providing enough information about the topic? Is the website simple enough to navigate or do some pages need altering? Is there enough content on this page? Does this page even need to exist? Does this page cover too many topics, could this be broken out into multiple pages instead? These are the kind of questions you should be asking yourself when critically evaluating your site. Focus on improving the experience for the user and ensure your page’s content is of high quality and a good length. Of course there’s a lot more to SEO than just 4 things, but these simple pointers will not only help improve your website but also help with your search engine rankings! Let us know in the comments below if you’ve got any simple SEO pointers to add to the list. Previous Post Technology in Marketing – Embracing Change Pt.2 Next Post Social Media: Good or evil?